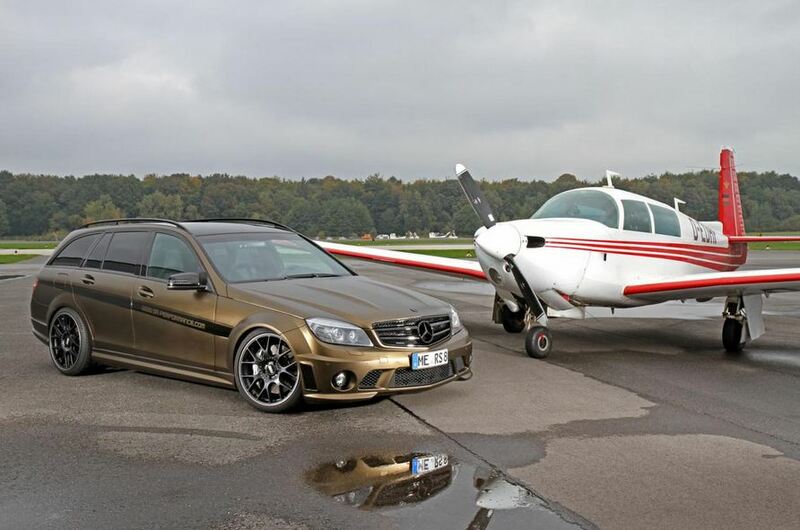 FolienCenter-NRW developed a special tuning kit for the Mercedes C63 AMG Wagon. 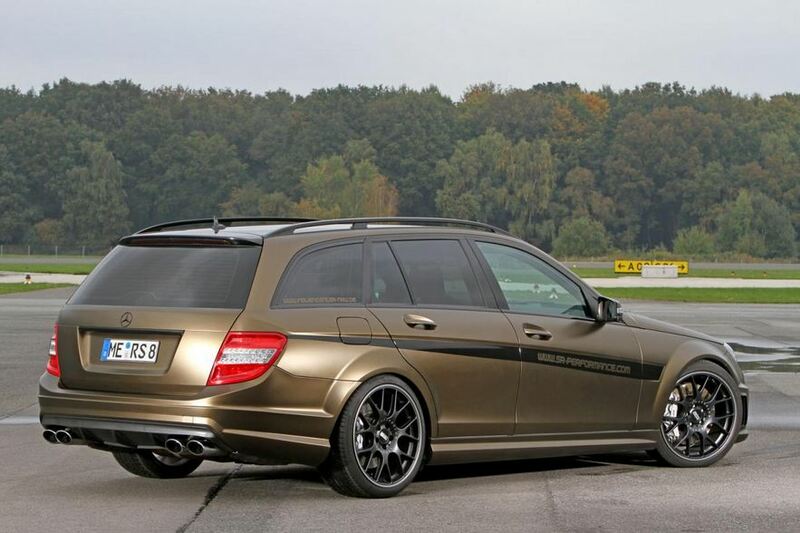 We talk about a one-off model which benefits from a series of styling tweaks such as a Matte Bond Gold Metallic wrap. 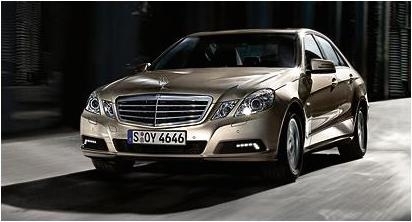 The front grille receives a black finish while a new set of 19-inch BBS CH-R alloy wheels fitted with Continental Sport Contact 5 tires is available as well. 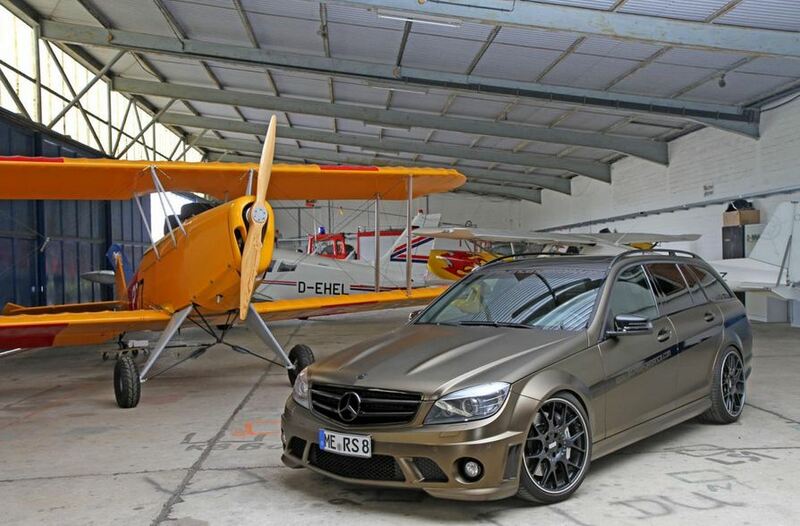 The German tuners teamed up with the specialists at SR-Performance for a power boost. The stock 6.3-liter V8 powerplant is capable to deliver 540 horsepower and 665Nm of torque, an improvement of 83 horses and 65Nm of torque. 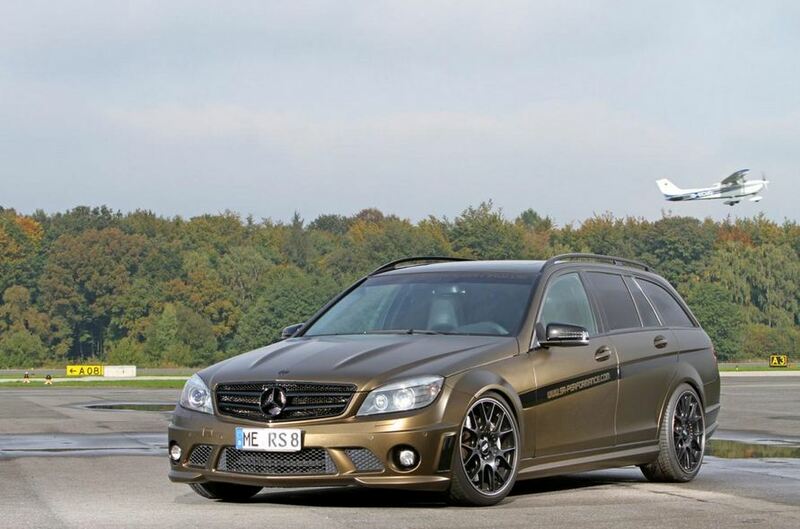 The extra power is available thanks to new air filters, a revised ECU unit and Milltek racing catalytic converters. SR-Performance denied to offer performance figures but the stock 0-100 km/h sprint time of 4,6 seconds will surely be improved. Pricing details for this tuning kit were not released yet.